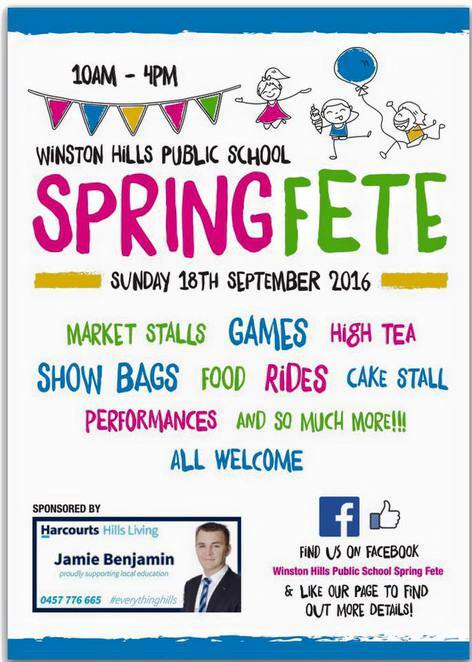 Winston Hills Public School will be holding their spring fete on Sunday the 18th of September, from 10am - 4pm, and it's set to be a great "Sunday Funday" for the little ones and big ones, with something to entertain everyone. 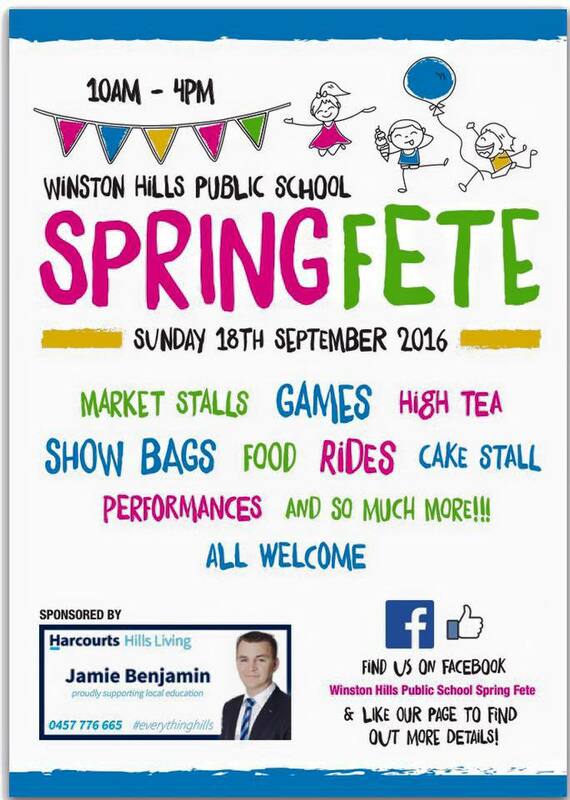 Winston Hills PS Spring Fete - Image courtesy of Winston Hills PS Event Facebook Page. The fun family day out will include, market stalls, plant stalls, show bags, rides, a cake stall, games, high tea, performances and of course food, for when the tummies start to rumble. The fete is free entry, so make it a family day out and help support a local school. There have been so many parents and volunteers working towards organising a spectacular school fete not only for the school, students and families, but also the community, as all are welcome. Thanks so much Bianca for promoting our Spring fete. It's going to be a great day!